It takes two — er, four! 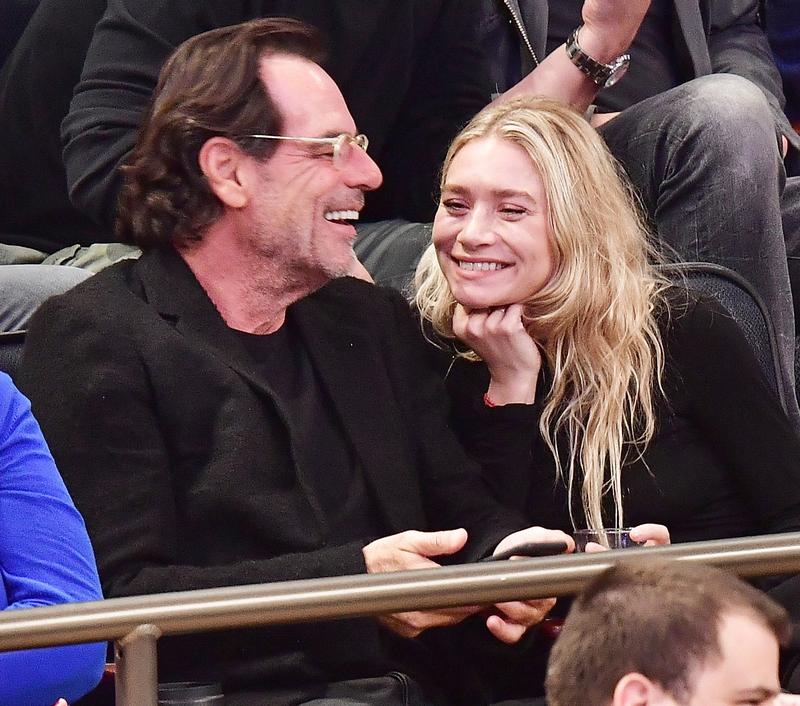 Ashley Olsen stepped out with her new boyfriend, Richard Sachs, on a fun-filled double-date night with her twin sister, Mary-Kate Olsen, and her husband, Olivier Sarkozy, in NYC on Wednesday, November 9. 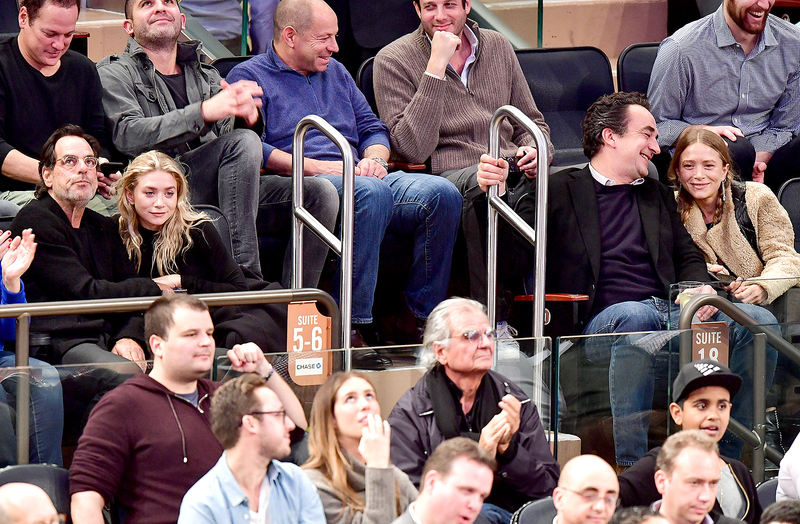 The group started off the night inside a suite at Madison Square Garden for the New York Knicks vs. Brooklyn Nets game, where Ashley showed some PDA with her financier boyfriend. 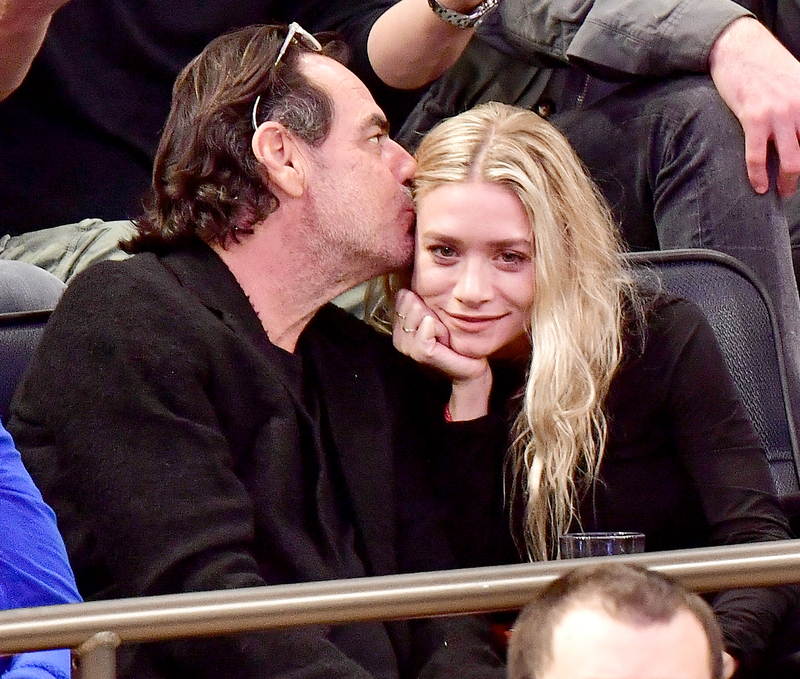 The new couple kissed and looked cozy during the game, and the Elizabeth and James designer, 30, smiled as Sachs, 58, gave her a smooch on the cheek. They sat across the aisle from Mary-Kate and Sarkozy, 47, who snuggled and showed some affection of their own. Ashley previously dated director Bennett Miller in 2014 and has also been linked to artist George Condo and actor Justin Bartha. 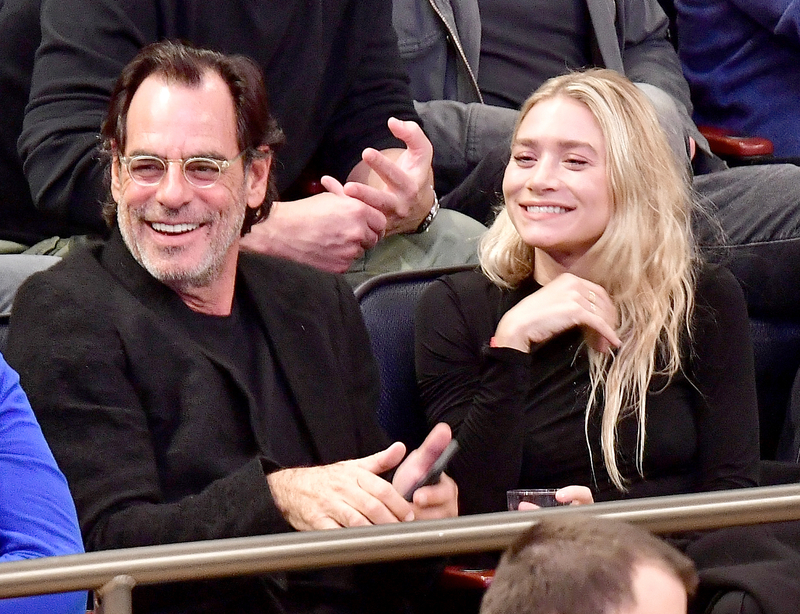 While Ashley’s romance seems quite new, Mary-Kate and the French banker are approaching their one-year wedding anniversary. The couple tied the knot in a hush-hush ceremony at a private residence in NYC on November 27, 2015, after three years of dating.